Based in what has been dubbed as Preston’s “legal quarter”, Farleys’ Preston Solicitors are located on Winckley Square, a spectacular Georgian Square just 50 yards from the main shopping district. Offering a wide range of legal services to both businesses and individuals, our award winning team of solicitors pride themselves on combining legal expertise with a down to earth approach, resulting in cost effective solutions to virtually any legal issue. You can either get in touch with a solicitor in Preston on 01772 754 450 or contact us online and we will call you back. Acting for businesses of all sizes, our corporate and commercial lawyers operate from this third commercial hub, providing legal services tailored to meet the needs of our clients. The team’s experience is such that we are able to assemble multi-disciplinary legal teams to be able to provide the full spectrum of legal support to businesses. Our corporate and commercial teams advise businesses on a wide range of matters, including buying and selling a business, restructuring, contract advice, insolvency advice and commercial litigation. We offer a full range of Employment and HR legal support to individuals and businesses of all sizes, offering a wide range of advice on employment contracts, grievance procedures, settlement agreements, redundancy advice, employment tribunal representation and much more. Our commercial property solicitors in Preston offer a wide range of legal advice to developers, property investors and commercial businesses amongst others, offering guidance with all aspects of acquisition, disposal, development, letting and management of commercial property. Our fraud and business crime lawyers in Preston have an excellent reputation both regionally and nationally. The team have experience of working on a wide range of cases, bringing a wealth of knowledge and expertise to advise clients. Our family law and divorce lawyers in Preston are regarded across the North West and provide expert legal assistance with the full range of family legal issues, from divorce and civil partnerships, to children’s law and cohabitation agreements. We can also assist with various other personal legal advice in Preston, including personal injury compensation claims, private client matters and criminal law advice. 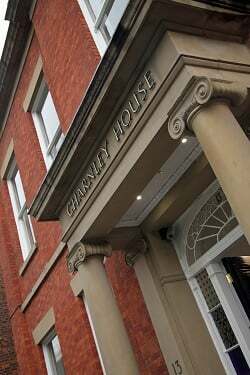 Our conveyancing solicitors in Preston can also help you with the process of buying or selling your home.